Thank you both! :) Your advice was very helpful. I'll start integrating your suggestions into future lessons. This is a well-put-together collection, containing different types of sources such as scipacks, journals articles, books, and external resources, all of which are relevant to the collection topic. The artifacts in this collection contain a variety of ways to teach the phases of the moon, which are interesting and useful, as well as information on the subject for the teacher to use. I believe this is a useful and thoroughly-made collection. I believe this is an excellent collection of resources, with examples of teaching different aspects of plants and their structures so that teachers can cover all the bases. Though it's focused primarily on the elementary grades, the ideas and techniques in some articles can also be applied to higher grades or can be used to lead into concepts for higher grades. Overall, this is an invaluable collection for educators looking to teach elementary students about plant structures. 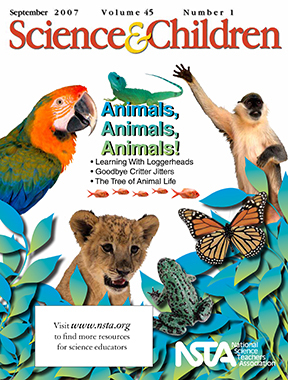 A collection on coral reefs and teaching about habitats. Resources for a topic in a Kindergarten class centered around life/the interdependence of life.